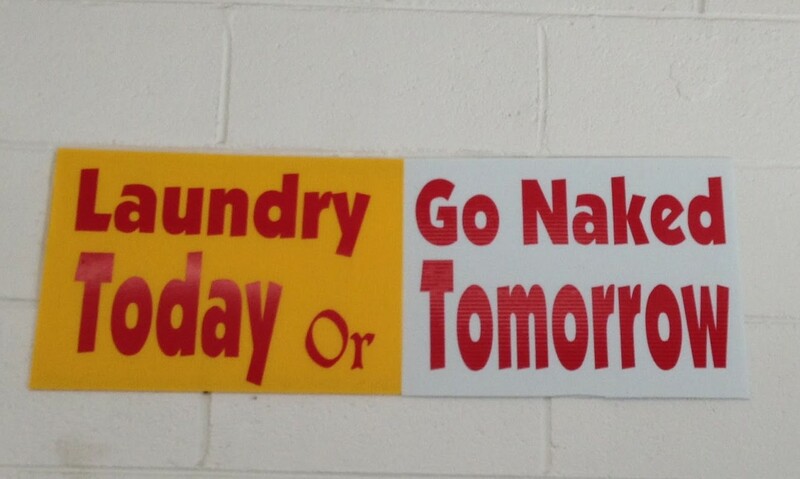 Some of life’s greatest lessons can be learned in a laundromat. You may think I’m exaggerating, but, after spending an afternoon watching my 91 year-old mother wash clothes, my view of life has changed. For Mom, the laundromat not only cleans her clothes, but serves as the hub of her social life. For most of us, the word ‘laundromat’ conjures up images of a hot, steamy storefront filled with rows of washing machines and dryers waiting to swallow quarters and detergent, a forgettable place we pass on the way to somewhere else. But, for my mother, the laundromat offers a lifeline to the outside world. The laundromat always has the television blaring, and people coming and going. More than just a place of cleansing and renewal, the laundromat welcomes customers’ dirt and grime along with their stories of too much work, too many problems. Arriving in pillowcases to be cleansed of the week’s dirt and grime, bundles of clothes are washed, dried, folded and made ready for the next week’s challenges. The laundromat is also a hub of neighborhood activity providing a buffet of local gossip, news, amusement, and annoyances. To enjoy this buffet of social delicacies, one must understand that the laundromat is also a place where customers need to follow a protocol. For example, my mother always asks if the hot water has been turned on and which machines are working. While on the surface, this may seem silly, failure to ask may result in loading a machine, adding detergent and quarters, only to discover that the machine is out of order, or the Korean owner, hoping to cut down her expenses, has not turned on the hot water. The life lesson in this is to always ask first and never assume the obvious because your ‘obvious’ may not be someone else’s obvious. That fact was illustrated recently when Larry, the employee in charge of making change for the machines, entertained us with the tale of a woman who, upon arriving at the Atlanta airport from the rain forests of Brazil, asked the taxi driver to take her to a place where she could wash clothes. 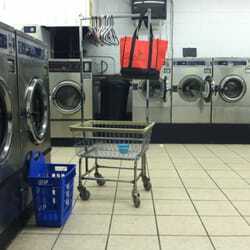 Larry was fuzzy on the details of how a Brazilian woman with dirty clothes arrived at a laundromat in East Atlanta, but adamant that the woman spoke very basic English and the concept of washing machines with coin slots was as alien to her as washing in a river is to us. Pausing just long enough to make sure he had our attention, Larry continued with his story. Noticing that the woman was anxious and confused, he directed her to the closest machine and carefully enunciated “put the clothes in the machine”. She looked perplexed so Larry opened the door and threw the clothes in the machine and added detergent. The woman then closed the door and waited for her machine to start. When nothing happened, she began to hit the machine. The Larry then pointed to the sign by the coin slot and explained in slow careful English, “put eight quarters in the machine”. The woman looked at Larry, shrugged her shoulders and then pulled out eight quarters, opened the machine door and “put them in the machine”. I’ll end the story here and let you ponder the linguistic challenges of English prepositions for non-native English speakers.